YELP seems to have completed a long period 5 Elliot Wave down cycle. 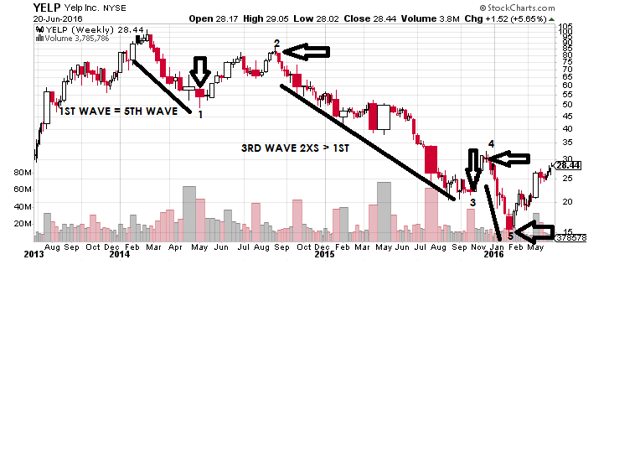 Confidence in this downward completion comes from the text book wave lengths--1st wave equal length to the 5th wave; 3rd wave at least 2xs the 1st. Taking over 2 years to complete also gives us confidence that anyone that wanted to sell YELP, including margined holders, has long since done so. 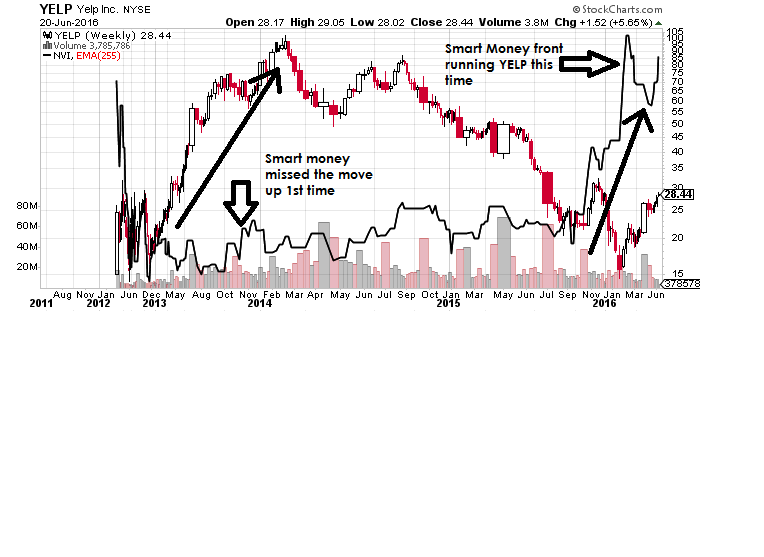 Next chart over-layed with the Negative Volume Indicator (Smart Money) indicates this time around, the big Wall Street firms are piling in and not going to miss this move higher. 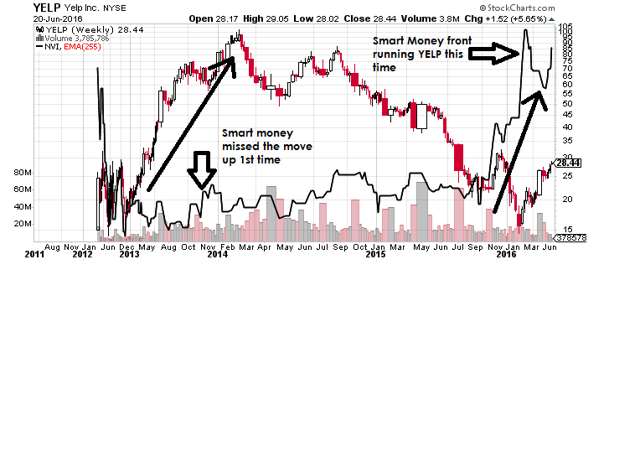 Notice the Smart Money missed the meteoric rise in YELP shares back in 2013. YELP shares seem poised for strong upside. Return to the 2013 highs is not likely, but not out of the question. On paper, the valuation is stretched, even at this level. However, Wall Street has a habit of over paying for high growth, INTERNET based firms. This one should easily double. Disclosure: I/we have no positions in any stocks mentioned, but may initiate a long position in YELP over the next 72 hours.